Description The mission of the Journal of College Admission is to support and advance the work of the National Association of College Admission Counseling and college admission counseling professionals by providing members with lively, challenging discourse on issues relevant to the admission counseling field. The Journal is published four times a year. 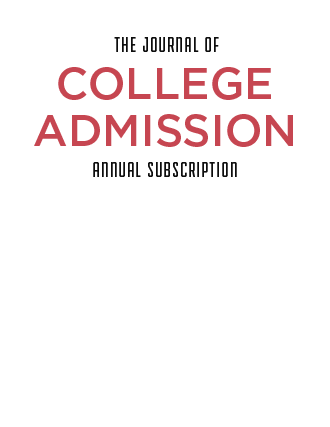 A subscription to the Journal is included at no extra charge with a NACAC membership.